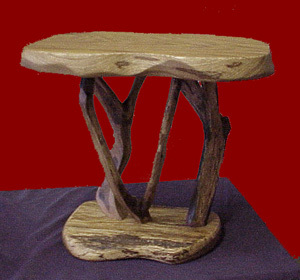 Below are a few of the end and side tables I have created over the years. 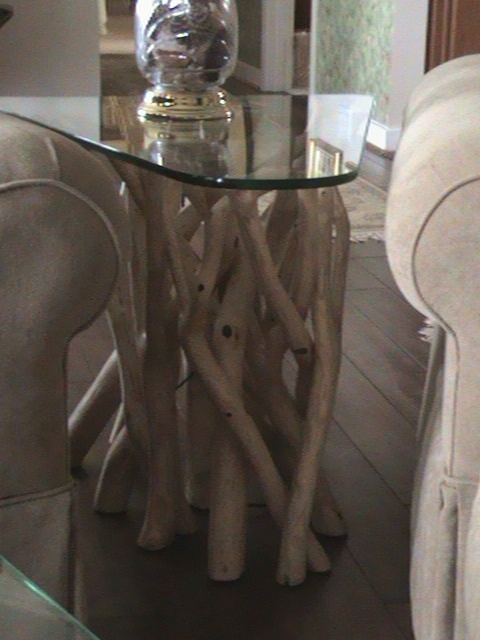 For additional design ideas on end tables you may wish to look at the coffee tables and stump tables pages. If you find a style you like, or combination of styles; NOTE the "name" of the table or tables as reference, and email me with your comments. I will be happy to work with you on new or modified designs. We are in the process of adding the detail pages for each of these table styles. If the photo is not clickable for more as of today, just email me rustic@wtciweb.com ( Mike) I'd be happy to respond with emailed photo's. Feel free to telephone 785 658 3449. 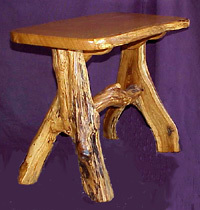 View also coffee tables and tree stump tables pages for more end table design ideas. QUESTIONS? Different size or desire a quote on something special ? Pehaps you like the top of one table and base of another. That's ok. We are a design shoppe. Not a retailer. 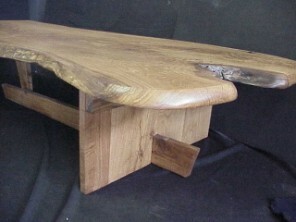 We make these tables with our own hands, one at a time. 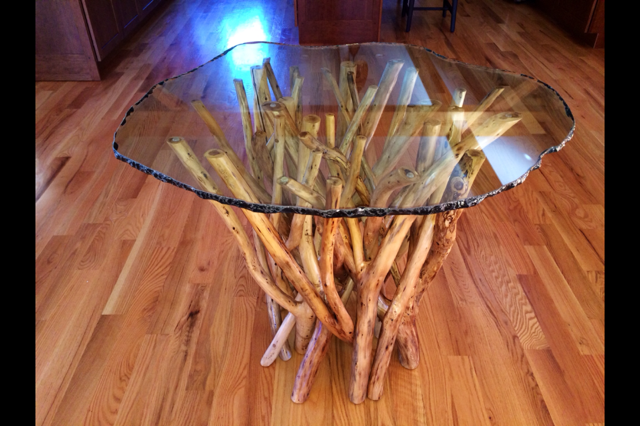 Debby's custom glass top tangle table.